Follow this link for a direct link to purchase tickets online. This year\'s theme is a sparkling winter theme: \"Clara in the Land of Snow\"
Special Weather Alert! Click HERE for more info about our moving our Sunday, Dec. 9th at 3pm performance to Friday, Dec. 14th at 7pm because of inclement weather! This year, THE holiday event in downtown Greensboro will be our very own sparkling production of The Nutcracker in the dazzling & newly renovated Carolina Theatre! 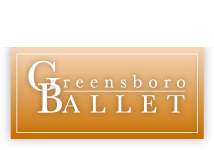 Greensboro Ballet invites you to bring your family & friends to the festive holiday tradition of the season! Swirling snowflakes, giant mice, dolls that come to life and sweets from around the world are just some of the characters you'll experience as you join Clara on her magical adventure. This beloved story ballet is housed in the historic and renovated Carolina Theatre. We recently toured the Theatre and were blown away by all the changes! Gorgeous new carpeting, an updated Concessions stand, much larger & super pretty Women's bathrooms, new & plush seats in a sparkly clean auditorium with big new speakers and more. Decorated for the Christmas season, the Carolina Theatre will give our Nutcracker audiences an enchanting holiday experience like no other! DISCOUNTS: $5 off all level of tickets for Children, Students, Seniors & Military. GROUPS of 10 or more can also receive an additional discount. Call the Box Office for details! *See our Tea with Clara page for our special pre-event! Tea with Clara Tickets: $22/person - Plus tax, and a $3 Theatre Facility Fee for each ticket purchased. These tickets must be purchased along with a Nutcracker ticket (any price level of your choosing). HINT! Check our social media sites for special offers, contests and other announcements.